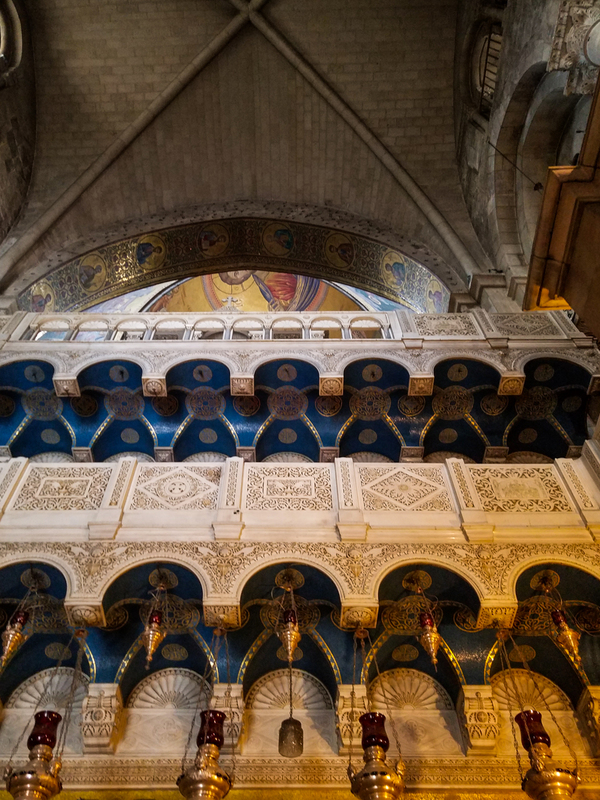 In the Greek church, you can look up and see mosaics including the Archangel Michael. 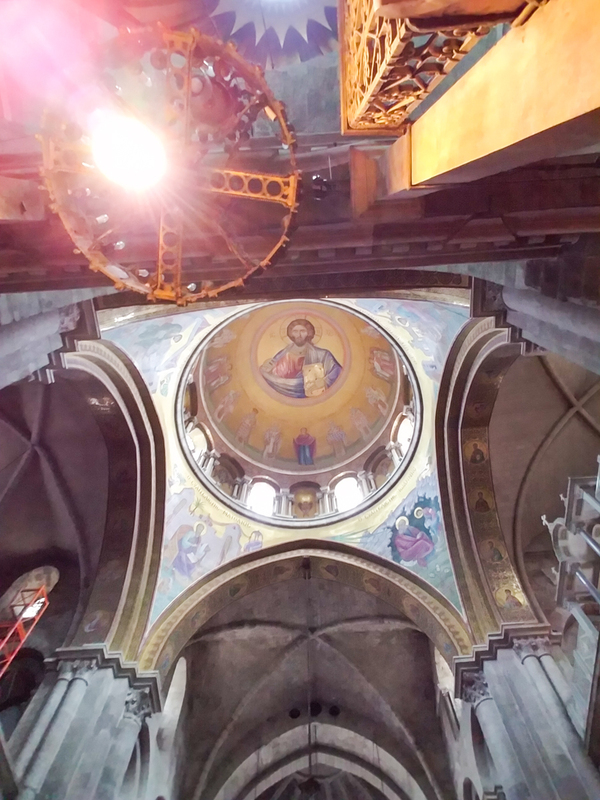 In this picture you can just glimpse the top of the dome, showing Jesus, Pantocrator. 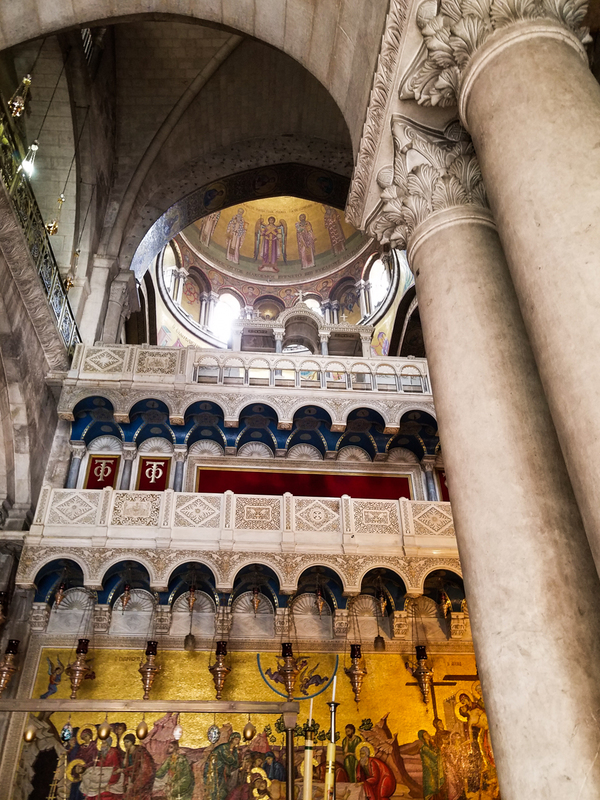 Jesus, Pantocrator, at the top of the dome. 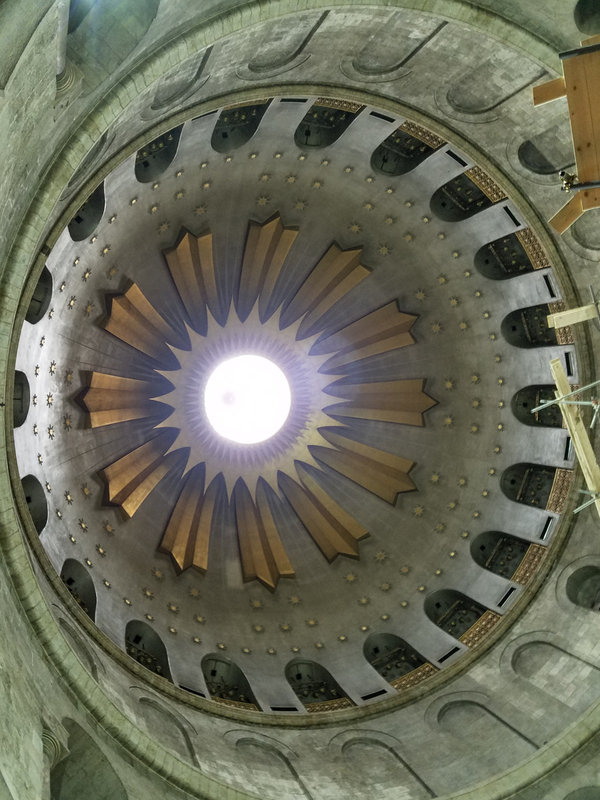 The dome over the Edicule. 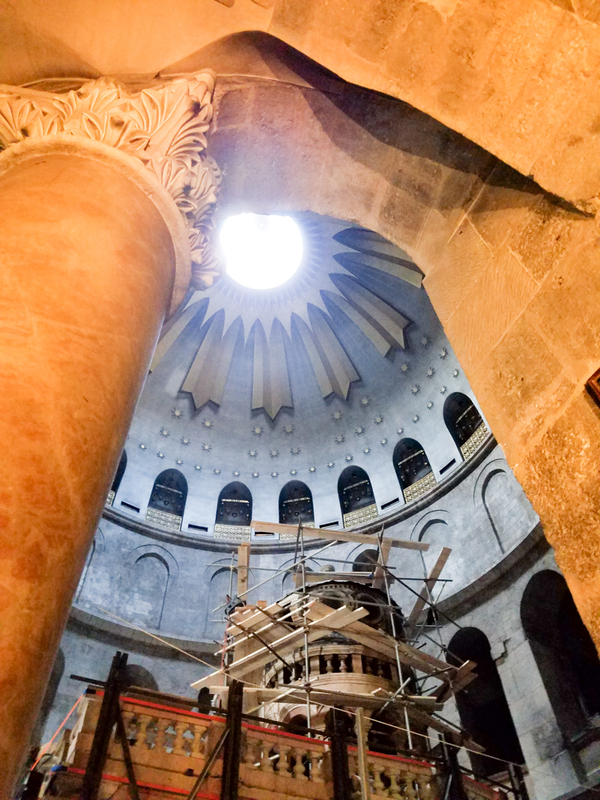 Under the dome, the Edicule, built over the tomb of Jesus. 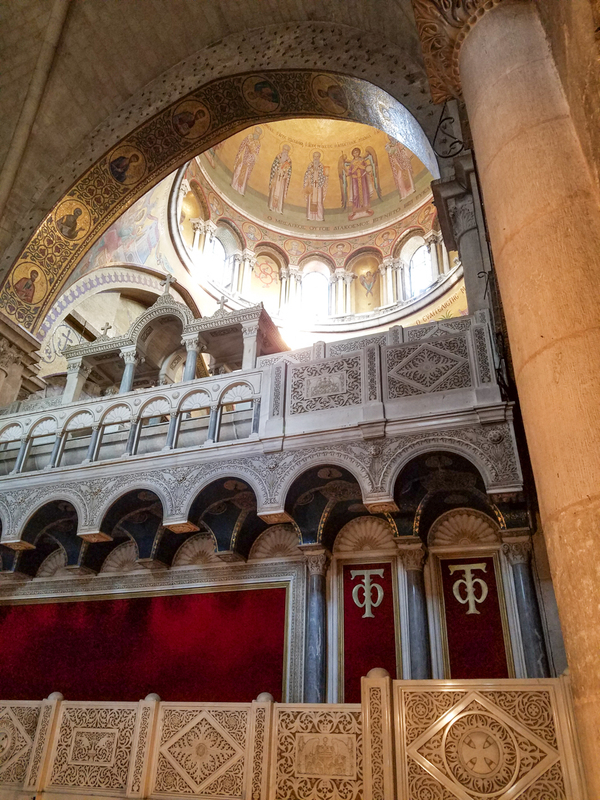 The Ethiopian monks at the Sepulchre. 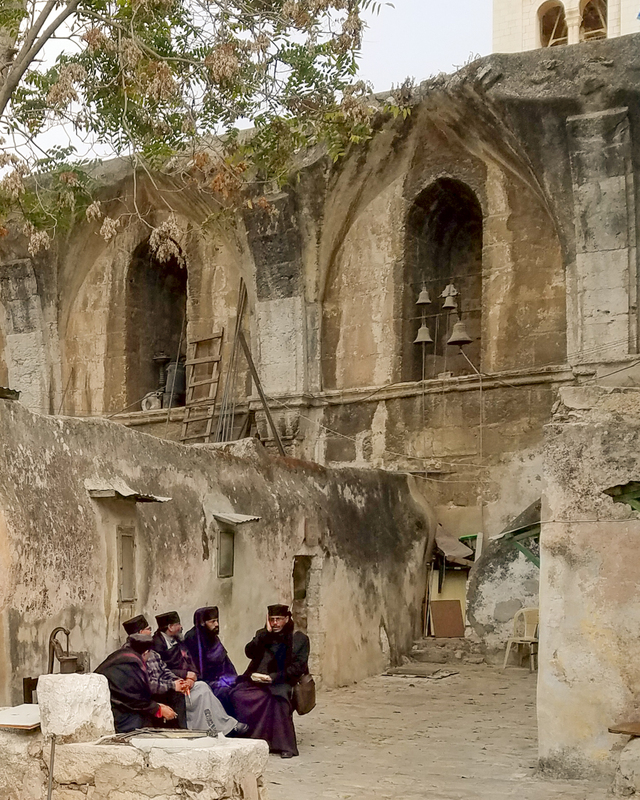 There are little monastic settlements on the roof and they live up there. 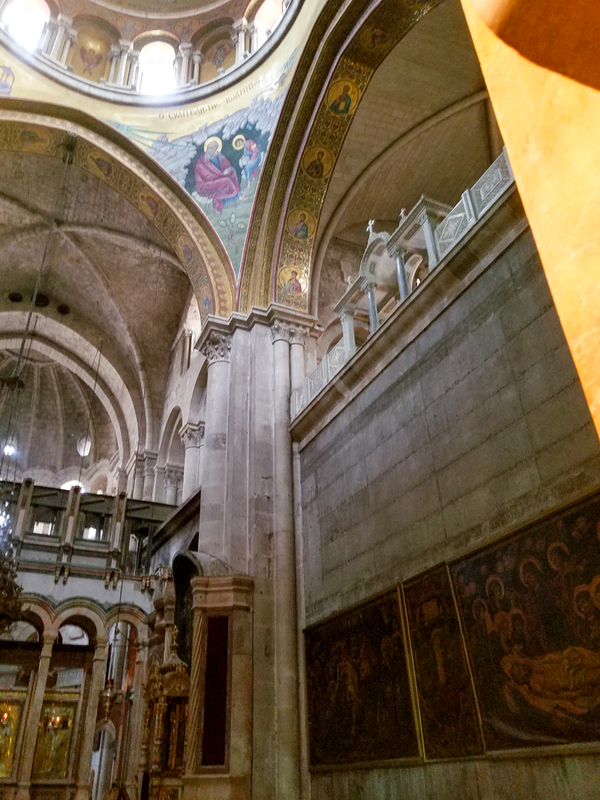 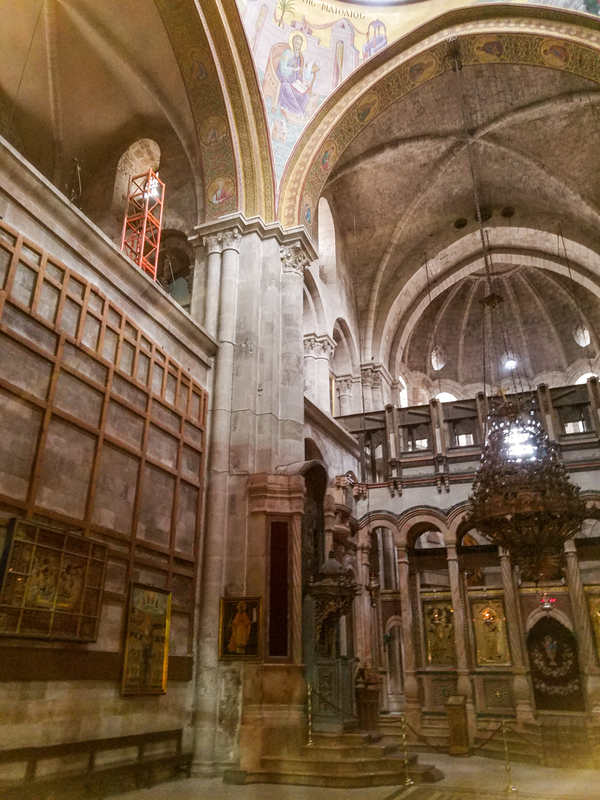 This entry was posted in Christianity and tagged Edicule, Holy Land, Holy Sepulchre, Jerusalem, Pendentive, Tomb of Jesus on May 25, 2017 by frjfkauffmann.